Shares of Electronic Arts rose 8% on Wednesday morning after delivering an earnings beat and raising its forward guidance. The company’s live services segment continues to accelerate at a high rate, a Credit Suisse analyst said. View Electronic Arts’ stock price move in real time. 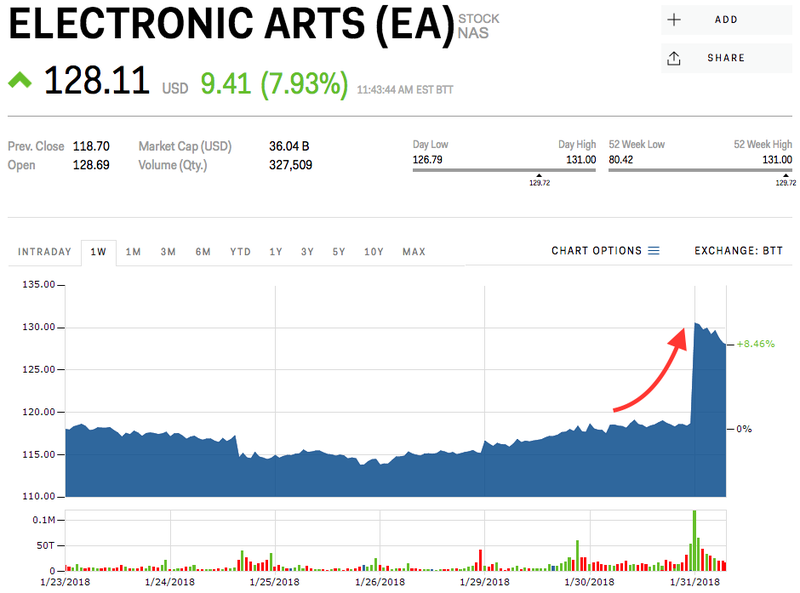 Shares of Electronic Arts jumped 8% on Wednesday morning to $128.11 per share after the company posted an earnings beat and raised its forward guidance. But the main highlight of the report was the acceleration of its live game services segment, largely driven by “FIFA” and “Madden” users, a Credit Suisse analyst noted.